Never worry about serving a piece of burnt toast with a commercial conveyor toaster. With myBoelter's selection of conveyor toasters, you'll serve nothing but beautifully golden bread, buns, bagels and more. 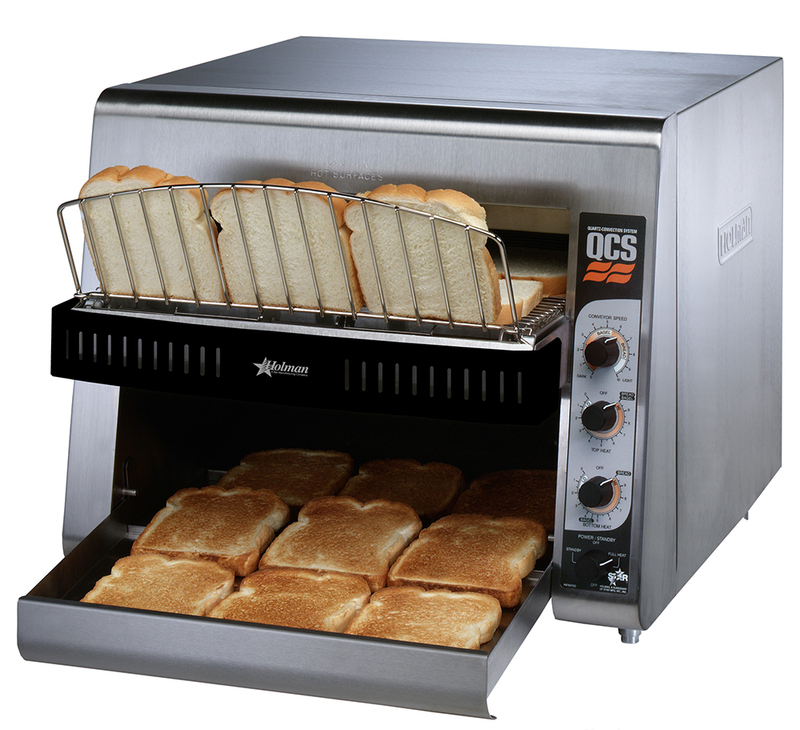 Conveyor toasters allow kitchens to continually toast bread products while moving on their conveyor belts. Easily adjust the belt's variable speed so you can deliver the same perfectly toasted result every time. myBoelter has a conveyor toaster that will fit the application of any food establishment from low volume units that produce 350 slices per hour to high volume conveyor toasters that produce up to an impressive 1,600 slices per hour.